Committed and passionate about helping pet dogs and their people share happy lives together, we pride ourselves on being knowledgeable, professional and approachable. We'd really love to work with you! Start things off right with your puppy ​and help to avoid having problems later on. Struggling with your dog's behaviour? From aggression to separation issues, we can help! Choose from Life-Skills Training (group or private) or real-life 'Hound About Town' sessions. We can help you in your ​search for the puppy that's just perfect for you. If your won't come back to you when called, we can help! Available as group or private. Don't get dragged down the street by your dog! ​Available as group or private training. From Puppy Life-Skills to structured Recall Guidance, take a look at our online courses. Need expert advice without delay? Our telephone helpline service is perfect for you. ​It is impossible to praise A Different Dog too highly! 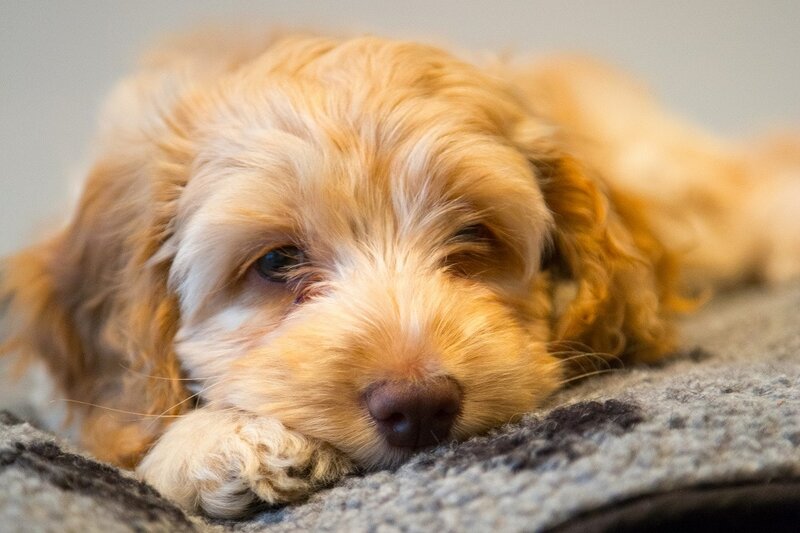 It has been the very best start we could have given our puppy; ​the result is our well-trained, confident, relaxed, friendly and loveable dog, Albert. ​ Exceptional, fast and reliable results with expert advice and assistance. A Different Dog - it does what it says on the tin! ​​It's made me really enjoy spending time with him! I cannot recommend A Different Dog enough; we have loved everything about our experience. It has changed our relationship with our dog, we've met lovely people and we've loved learning about dog training! The trainers are lovely and always on hand with advice and encouragement. The class sizes are small and the sessions are well-structured. I would recommend to everyone! Thank you so much.... I found your New Puppy Visit invaluable. I have been putting into practise all the advice you gave me and it has worked wonders! I think best of all was that it helped me to understand my puppy better. Thanks so much for the Behaviour Consultation..... It was so useful and gave me loads to think about and implement. Your behaviour plan is comprehensive and really good value for money. [10 weeks later] I just wanted to update you on Lottie; the change in her is pretty significant! Thank you so much for your wisdom with her. I am glad I waited to find the right person to work with. We have enjoyed the fun, kind, gentle learning at A Different Dog's classes. The sessions were both informative and enjoyable because of the ​great teaching and understanding of dogs shown by Gretta and Claire. There is good, personal support in the classes and via email to help with any issues that come up. We would definitely recommend. I am delighted with my dog's behaviour as a result of the teaching by A Different Dog - the trainers really understand what makes dogs tick! The lessons were presented in a fun way and the time flew each week. Bonno couldn't wait to get in there! ​Thanks for a great experience. ​Our puppy, Kane, was a real challenge - we put this down to him being naughty. Gretta helped us understand why he was behaving as he was. The practical advice and incredible follow-up showed us we had a nervous boy, not a naughty one! Changing our behaviour has helped Kane become the lovely dog that he is. Without Gretta this would not have been possible; she has been amazing! Since your visit and advice on reading Loki's behaviour and body language, we have had considerable improvement. We now have a much, much happier dog and a much, much happier human. All in all, absolutely brilliant news and it's just great to have the happy, trusting ​dog/ human relationship that I was after. Just brilliant! Thank you again. I am so happy that we found A Different Dog! I love that the essence of A Different Dog's approach is building trust and a bond with your puppy. Yogi absolutely loves going to classes, has learned so much and is growing into a really lovely, well adjusted and well behaved dog. I am constantly amazed how your gentle approach is so effective with him. I attended A Different Dog's bronze and silver classes with Ted my cockapoo and we are soon to start on gold! The information and support has been invaluable and I've learnt lots of new ways to interact with my dog. Ted was very shy at first but soon came out of his shell! He has now been accepted as an official PAT (Pets As Therapy) dog and I accredit this to the classes we attended. Today, I met someone whilst out with my dog, who said ‘Gosh, I’ve never met such a friendly terrier before’, which, before working with Gretta, would never, ever have happened! The progress she has made has been almost unbelievable. Gretta’s unwavering belief in her and connection with her has enabled her (and us!) to live a normal life and we are eternally grateful. Tango and I would like to say a big heartfelt thank you. After 5 months of training elsewhere, my decision to approach you was the best decision I have ever made! You have been reliable and friendly and have (with a lot of dedication and enthusiasm) turned Tango's excitable and frustrated behaviours around. He is now a joy to be with and it has all been accomplished in a kind, compassionate and humane way. It’s a bit of a cliché but Tango really is ‘A Different Dog’! We offer a range of services including Group Training Classes, Private Training ('One to One Training' - with you or 'We Train' - in your absence), Behaviour Support, Puppy Visits, Telephone Helpline ​​and Online Programmes... We have something just right for ​you and your dog. We use compassionate and scientifically-proven, reward-based methods which teach your dog what you want, without the need for fear or force​. We specialise in working with pet dogs, helping both humans and dogs to lead happy lives. What can we do to help you? I can personally recommend A Different Dog. Gretta is an accomplished training professional who brings a wealth of experience and expertise, offering friendly support and clear guidance. So, whether you are just beginning on your journey of dog ownership and want to start things off right or you have some issues that you need help with, get in touch with A Different Dog... and make a difference to your dog. If you want to see a video of Victoria talking about A Different Dog, click here!